SeaWorld bows to conservation pressure Jump to media player A world-famous animal theme park is planning to phase out its killer whale displays, following years of pressure from campaigners. Killer whale could be set free Jump to media player In the next few days the authorities in the United States will decide whether to put killer whales on the list of endangered species. 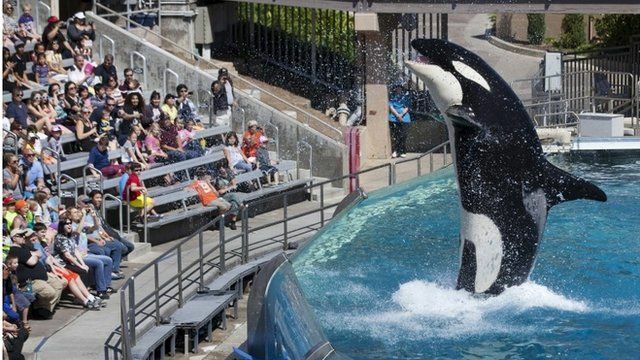 Debate in US on whales in captivity Jump to media player A documentary called Blackfish has sparked a debate in the US about whether it is ethical to keep captive killer whales in theme parks such as SeaWorld. Animals 'have platonic friendships' Jump to media player Animals with big brains such as elephants, horses, killer whales and some primates have close platonic friendships, according to the New Scientist. The company now says it will replace its Orca shows with a more natural experience, starting in California in 2017.